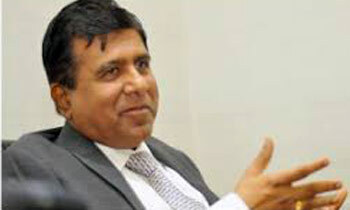 Justice Minister Wijeyadasa Rajapkshe yesterday denied allegations of harbouring Bodu Bala Sena General Secretary Galabodaatte Gananasara Thera. "I am extremely saddened by the false allegations which have been made by some Muslim extremists that I am harbouring the monk. I have nothing to do with him" the minister said in Parliament yesterday. "The BBS has been engaged in various activities in 2014. Accordingly Ganasara Thera should have been arrested after the clashes in Aluthgama that year. I ask those who make allegations against me whether the others was harboured by the then justice minister Rauff Hakeem during that time," the minister said. Our country lacking Sincere politician and no one really think about country's Future progress . Trying to Fool the Masses every time. That is the very thing that is lacking so much in this country. People are getting cheated by them everyday! Now we know who is the Judas is. The sooner we get rid, is better for the country. Denial is too late. Where did you send him before making this denial? My3 is loosing any respect from the minorities by harboring ministers of such caliber in important positions. Trying to become the president in 2020 fooling the Sinhalese Buddhists.